You love being a Mom or a Grandma. 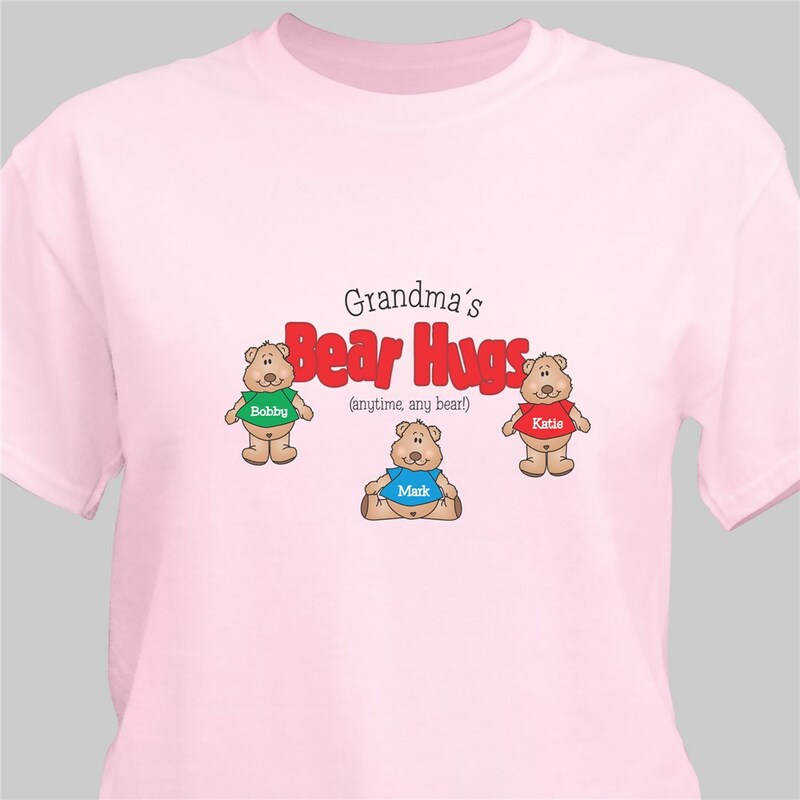 Show off your kids and grandkids with this delightful Mother' Day Gift. 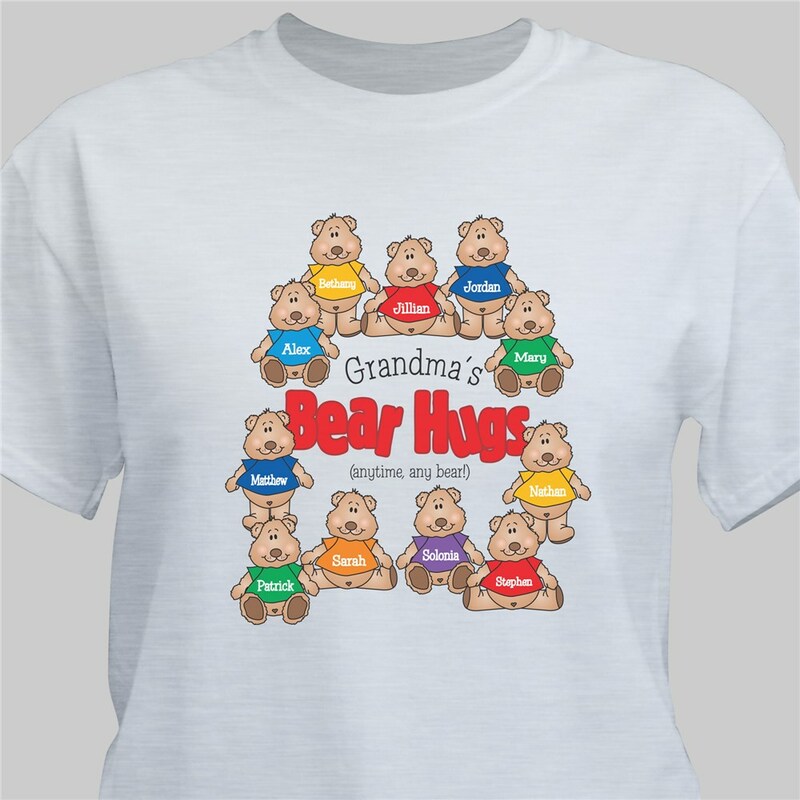 These Personalized Mother' Day Mommy Shirts or Grandma Shirts make the perfect unique gift your Mother or Grandmother will cherish forever. Your new Personalized Mommy T-Shirt is available on our premium white 100% cotton T-Shirt, machine washable in adult sizes S-3XL. Also available on Pink. Our Personalized Gifts are personalized free. 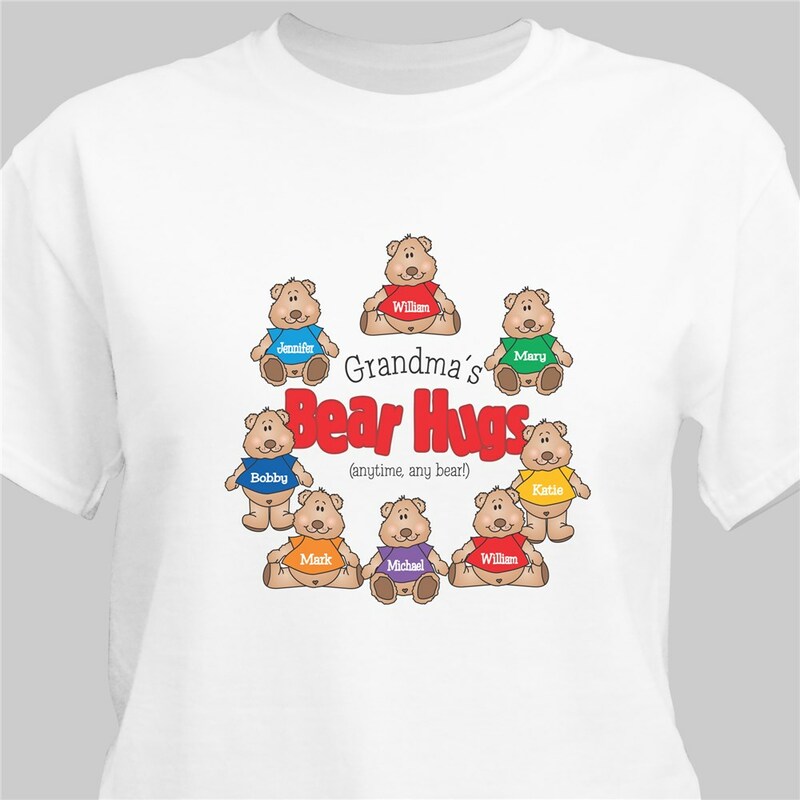 Personalized Shirts for Mom or Grandma can be customized with any title and up to 30 children or grandchildren' names. Each name should be no more than 12 characters. could use some more color chooses for the shirt. But other than than everything came out exalant. I like that I was able to put all the kids name on 1 shirt.